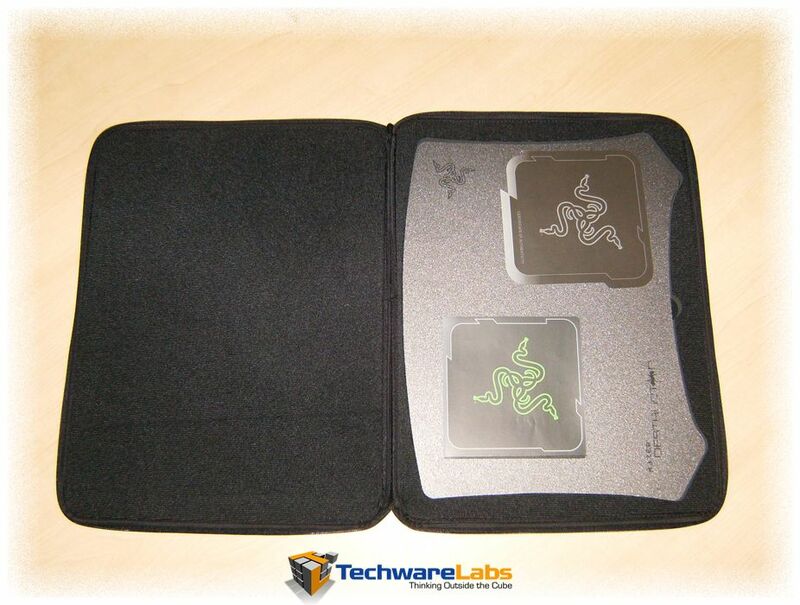 While at CES 2008, Razer was nice enough to give us one of their newest products. 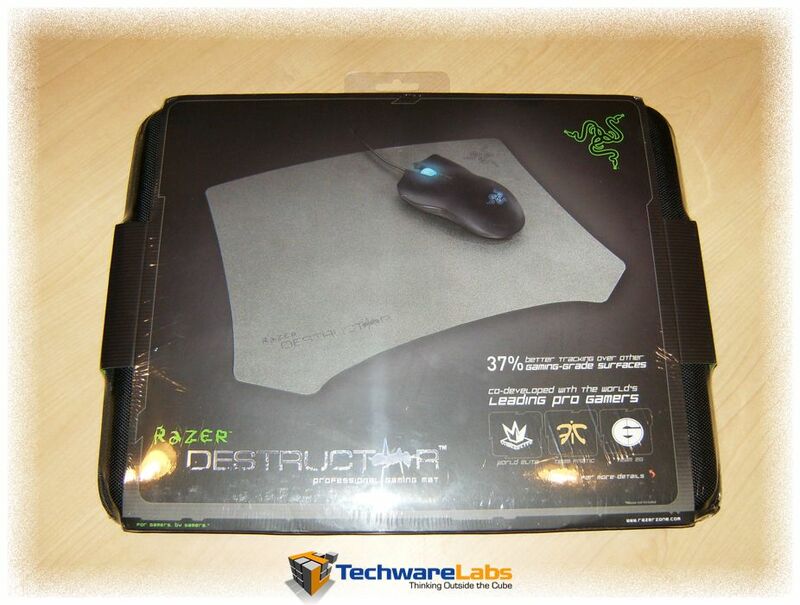 Released just under a week ago, the Razer Destructor sets new bars for precision gaming mouse pads. 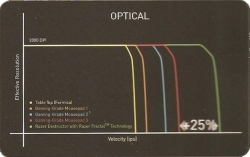 The Destructor has claimed to improved mouse tracking speeds up to 37%. We look forward to putting these figures to the test. Las Vegas, NV – January 07, 2008 – Razer™, the world’s leading manufacturer of high-end precision gaming and lifestyle electronics peripherals, today unveiled the Razer Destructor™, the optimal gaming-grade mousing surface made for optical and laser mice at the Consumer Electronics Show (CES) at the Las Vegas Convention Center at booth number 5733 North. 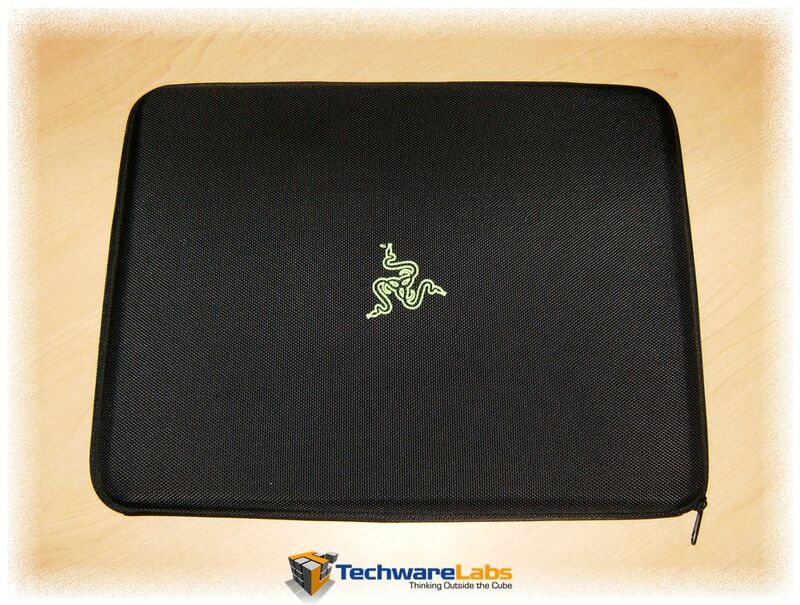 In response to the gaming communities search for improvements in mousing technologies, Razer has co-developed the Razer Destructor with some of the best pro-gaming teams in the world. 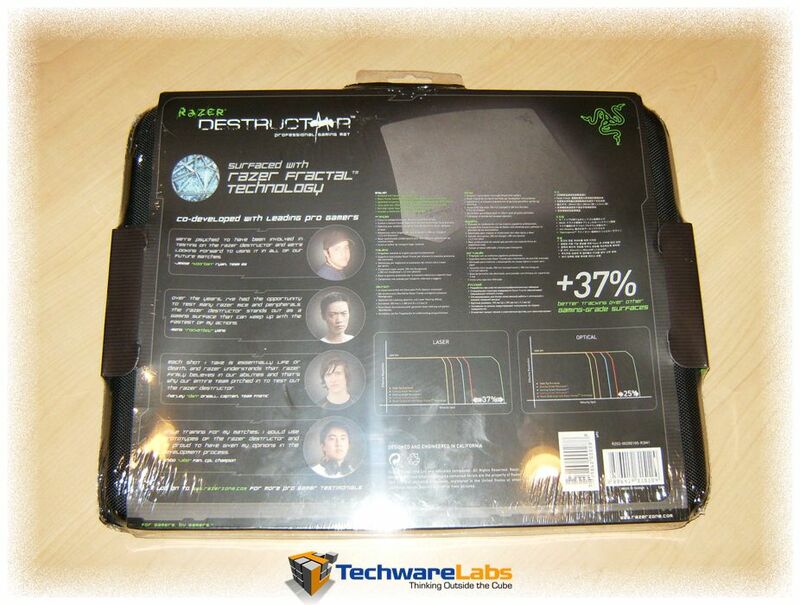 Upon opening the package, I was able to take a closer look at the case the Razer Destructor came in. 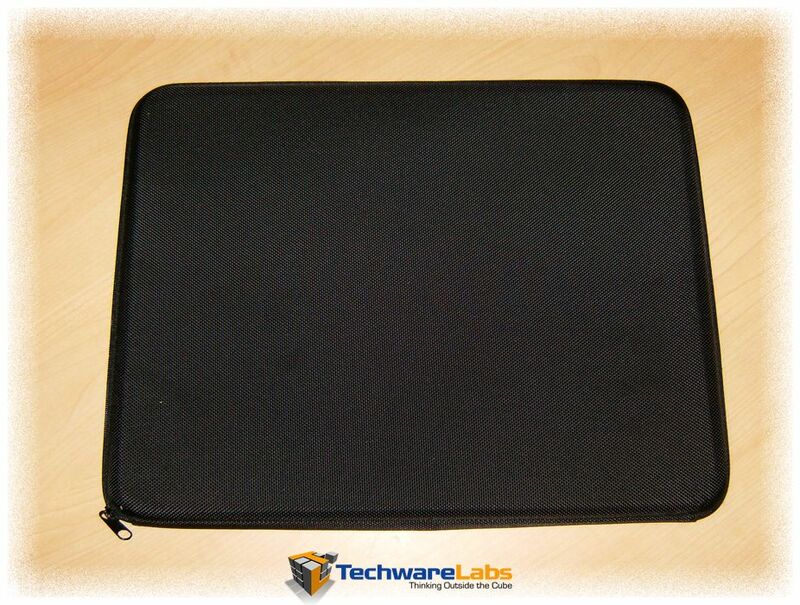 The case is reinforced to help keep the mouse pad safe and unharmed. The mouse pad is surfaced with razer fractal technology and coated in a highly reactive gunmetal finish, this is what allows it to receive such a significant improvement over other game pads. 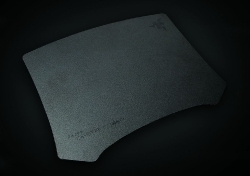 The game pad is designed with a unique shape and constructed very well. 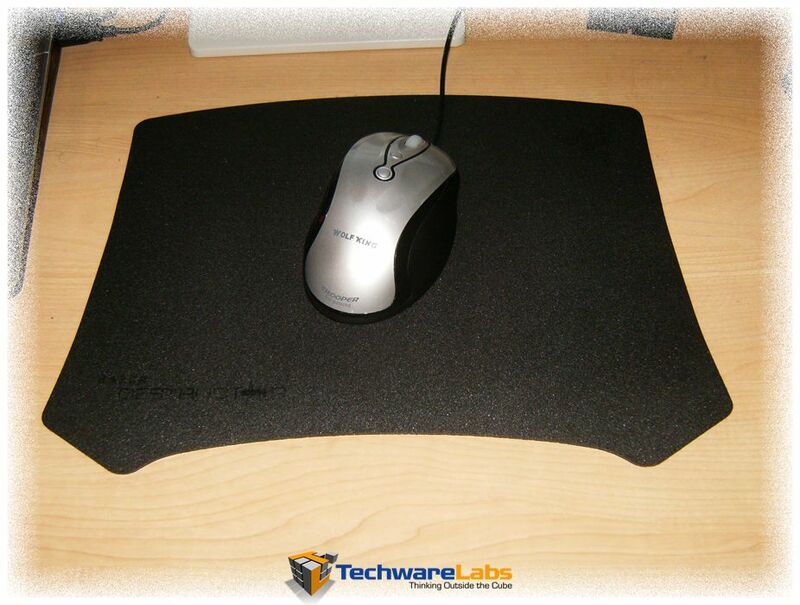 The mouse pad is not very flexible, which allows it to sit perfectly flat at all times. 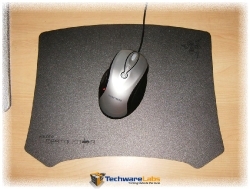 The Rubber underside of the mouse pad allows it to stay in place while moving the mouse back and forth. 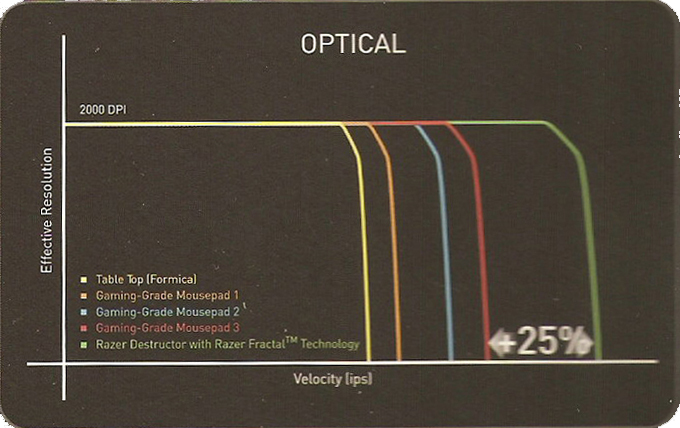 There are no real benchmarks or tests that can measure the velocity(ips) of the mouse. 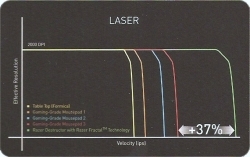 Because there is no precise way to measure the ips, the feel of the cursor movement is the only test. 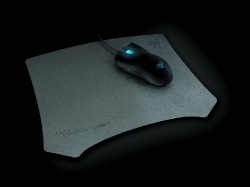 I first used my mouse, the WolfKing Trooper, on a formica surface, then tried the same mouse on a gaming mouse pad by Alienware, and then finally on the Razer Destructor. 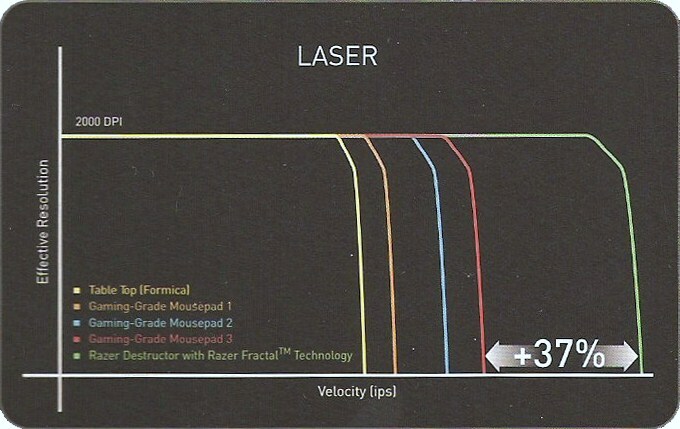 I was able to tell differences between all three, but the Razer Destructor was the best by far. As i moved the mouse across the surface it slid with ease, and generates very little friction. We also prefer the larger gaming surface as opposed to a smaller standard mousepad as do most gamers. 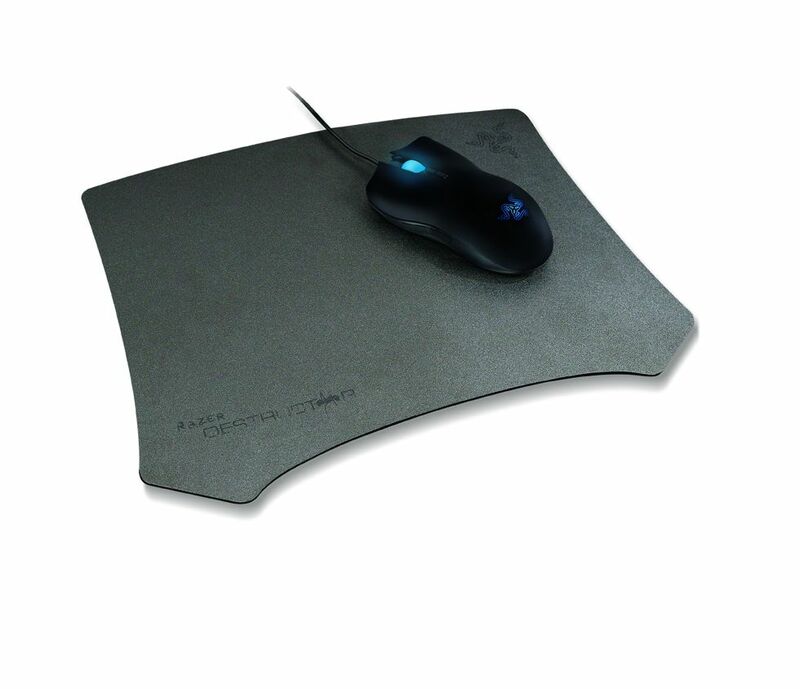 A larger mouse surface allows a wider range of movement which in conjuction with the higher dpi mouse leads to much greater accuracy. As you can see by the pictures below the Destructor while being large will not occupy your entire desk. 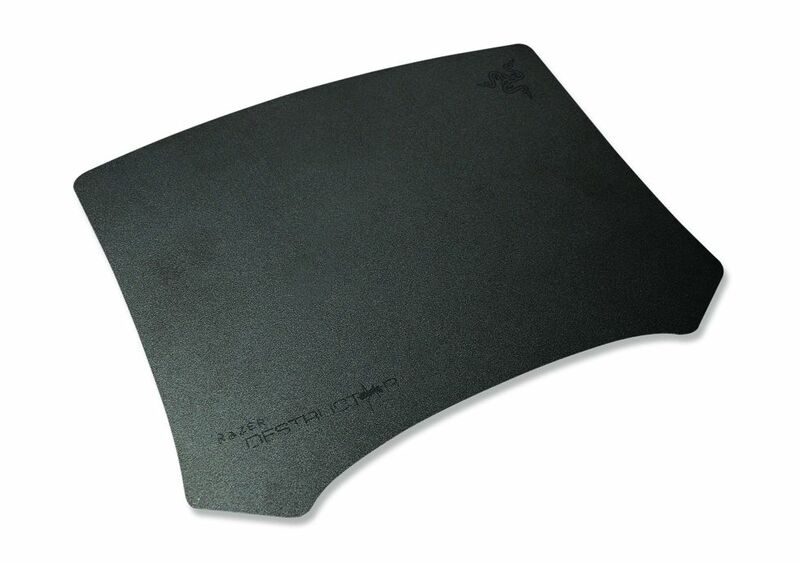 There was a noticeable improvement when using Razer Destructor. 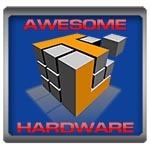 If you are a computer gamer and need to have the best in precision gaming, then this is a must have. With a $40 price tag, this will not set you back much. 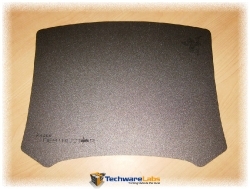 Although if you are a normal computer user and don’t have the need for the precision as others may, I would recommend looking at other Razer mouse pads, such as the Razer Mantis.